Refer a friend and get 50 bucks! Many of our customers are referrals from existing customers and we LOVE IT! 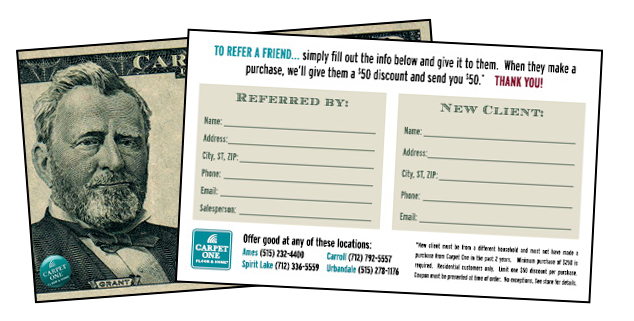 In fact, we offer our existing customers a Referral Reward of $50. Send us your friends, neighbors, even relatives. We'll give you $50 and we'll give them a $50 discount on their purchase. Ask your salesperson for details.